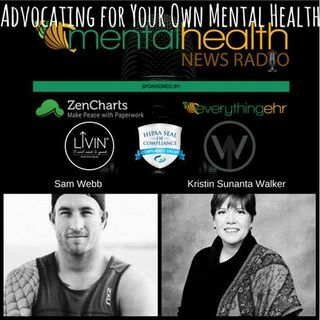 Sam Webb joins us live at The National Council for Behavioral Health's annual conference in Seattle, Washington NatCon2017. Not often we get to do in person interviews between our host, Kristin Sunanta Walker, and Sam but they are always powerful. Sam talks about the foundation he is co-founder of Livin (A suicide awareness organization), his production company www.webbproductions.com, and his upcoming podcast on MHNRNetwork, www.vulnerabl.com. Life has been moving fast for Sam so we get ... Más informaciones into it about taking care of yourself and making sure that your personal well being is first. Givers tend to put themselves last on the list but this doesn't help you on your own mental health journey.